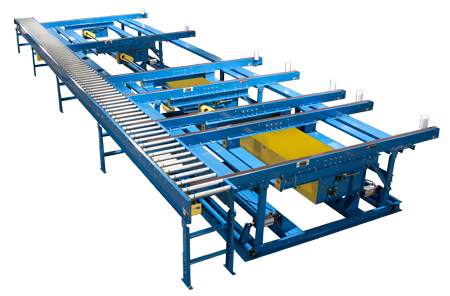 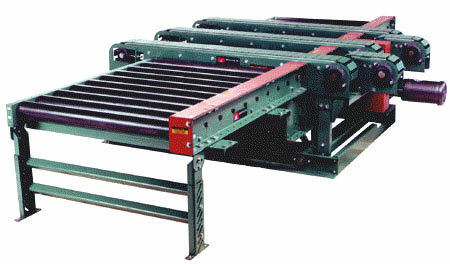 This specialty transfer conveyor transfers products at 90-degrees. 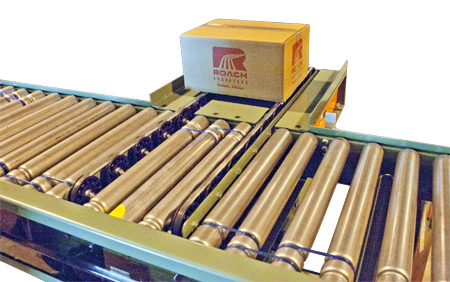 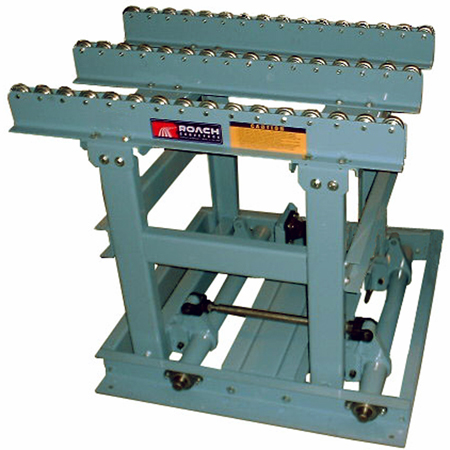 The transfer is mounted below the top of the conveyor roller and is raised pneumatically to move the strands above the top of chain guard to transfer product 90 degrees. 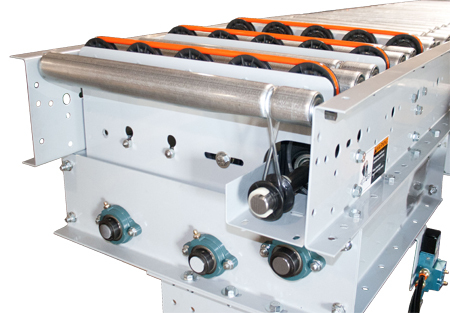 The transfer is reversible and includes a driven relief section to bridge the transition to chain conveyor, which provides the conveyed product a smooth transition.